At River Valley Builders, we want your new home to be an expression of you and your family. We offer customization options throughout every step of your home-building process. From counter tops to floors, wall colors to faucet selections, our goal is for you to feel at home from the very first time you walk into your completed home. From simple ranch styles to luxurious beach-style homes, you have countless options to customize the home of your dreams. Do you love a particular home style but wish you could change around a few minor floorplan details? No problem! Many of our designs have flexible floorplan options. 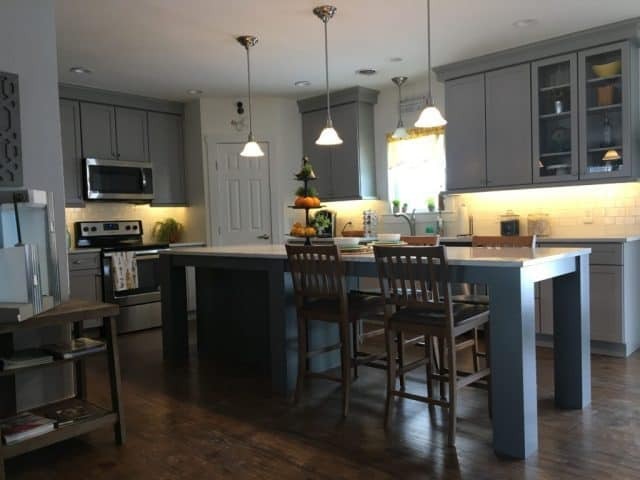 If you’re looking for specific materials to be used such as granite countertops or a more budget-friendly choice, you can rest assured that all of the products and materials you choose for your new home will be high quality and the best in the business. We pride ourselves in providing beautiful homes built with quality materials. We want you to be confident that your vision will become a reality with River Valley Builders. Building a new home is an exciting life event and we work hard to provide a stress-free process from start to finish. Building a modular home doesn’t mean you have to sacrifice individuality. With an array of detail choices, you’re sure to have a beautiful home that is uniquely yours, from the inside out. Your questions, comments, and individuality are always welcome and are important in every step of the home-building process. Enjoy the process while our team and the excitement builds. Contact us today for more information on your customization options. Thank you for considering River Valley Builders! Spring Open House Scheduled for April 27-29. Save the Date! River Valley Builders is pleased to announce our Spring Open House set for Friday, April 27 through Sunday, April 29. 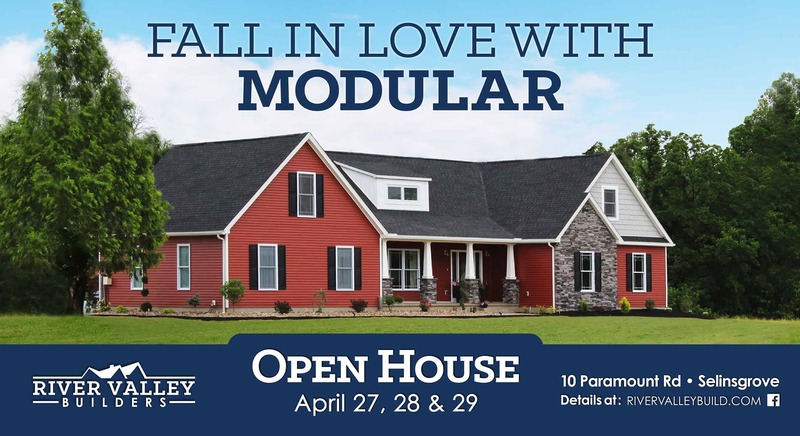 Hosted at our brand-new model home located at 10 Paramount Road in Selinsgrove, PA, this event is an excellent way to learn more about River Valley Builders and experience, first-hand, the quality craftsmanship that goes into each home we build. The doors of our model home will be open on Friday the 27th from 9am until 8pm, on Saturday, the 28th from 9am until 4pm, and Sunday, the 29th from 11am until 4pm. The model home is The Charles floorplan, which features a welcoming layout, open floorplan, custom tile master bath, quartz countertops, hardwood flooring, exterior stonework, and so much more! Our design experts and building consultants will be on hand to answer your questions and introduce you to the many possibilities of modular construction. A number of our premier suppliers will also be available to show you the countless customization and personalization options available. Light refreshments will be served. We look forward to seeing you at our Spring Open House! Leave a Comment on Spring Open House Scheduled for April 27-29. Save the Date! 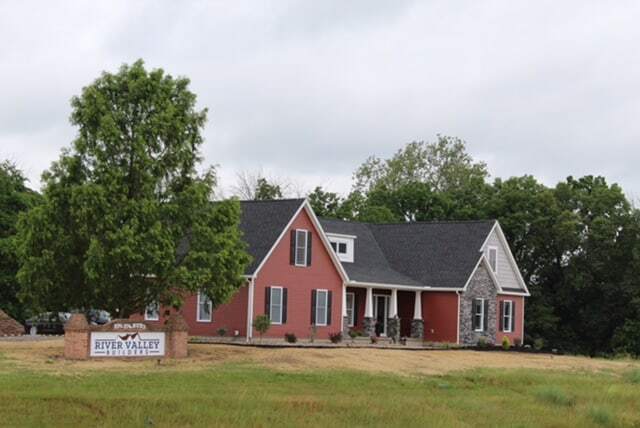 River Valley Builders is proud to announce the addition of our model home and design center located at 10 Paramount Road, Selinsgrove, across from Selinsgrove Ford! The new model home features a custom tile master bath, quartz countertops, hardwood flooring and exterior stonework to show a potential new home buyer the many options available through River Valley Builders. 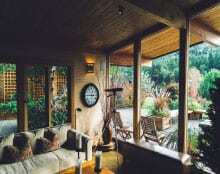 Modular homes can be more affordable because of shorter build times, are energy efficient to save on monthly expenses and because they are built in a factory they can reduce delays caused by weather to cut down on build costs. River Valley Builders serves customers throughout the multi-county central Pennsylvania area. The model home is open Monday through Thursday from 10 a.m. to 5 p.m., noon to 4 p.m. on Sunday and other times by appointment. Stop by for a visit and let us design a custom modular home for your family! When modular homes were first introduced, customization options were slim and the overall designs were uninspired. However, the modular concept has taken a leap forward over the past decade and has re-defined the homebuilding market. Regardless of the size or design, homeowners can now look to modular builders to achieve the home of their dreams. River Valley Builders is please to help our homeowners take advantage of the many benefits of modular! The article states that the modular industry has experienced years of high expectations, but low numbers. However, the evidence is there to show factory-build homes are primed for breakout. Did you know that modular homes appraise for the same value as on-site built homes? Have you heard that modular homes can be customized, just like traditionally built homes? Modular homes are truly the future of homebuilding. 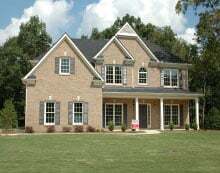 Thanks to the versatility of modular buildings, the team at River Valley Builders can work with you to arrive at exactly the home you’ve always dreamed about. Everything from the floorplan layout to the cabinetry hardware, we offer a variety of custom options to ensure your home is personalized to meet all of your needs. We invite you to view this excellent article that details the basic facts you should know about modular.